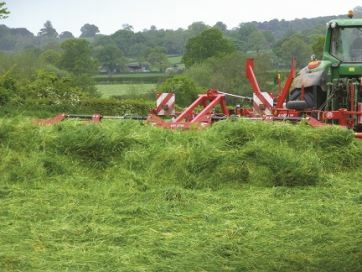 Farmers in the South Lanarkshire area are invited to attend a ForFarmers Forage Forum held at Larkhall, south of Glasgow, to discuss 'More meat and milk from forage'. The event, which takes place in the morning at the Radstone Hotel, Shawsburn, Larkhall on Thursday 15th February 2018 will bring together speakers from soil nutrition, plant breeding and biotechnology. 'Soil Nutrition the foundation for top quality forage' is one of the discussions which will be presented by Jon Telfer of Yara Lancrop. Further speakers include Paddy Jack from DLF Trifolium and Louis Hurdidge from Lallemand who will cover topics such as 'Growing grass for performance' and 'Managing forage fermentation for best results'. The meeting, starting at 10.30am, is free to attend, but please call Christina Pollock on 07769 648001 or email christina.pollock@forfarmers.eu to register your attendance.